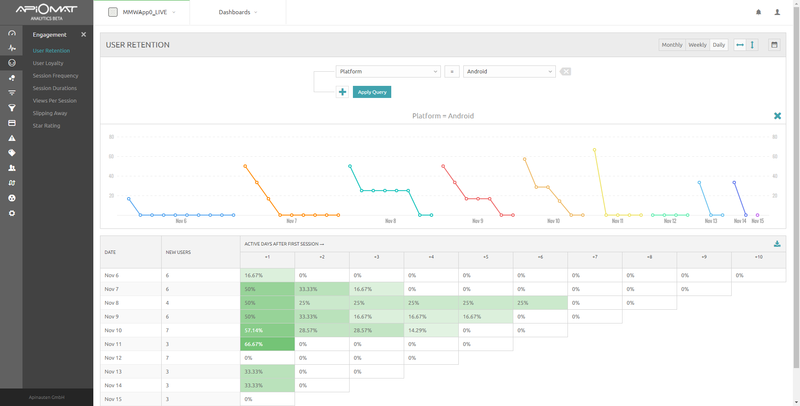 To gauge how often users are opening your app, ApiOmat provides a number of analytics to track user loyality, sessions and your app's star rating. 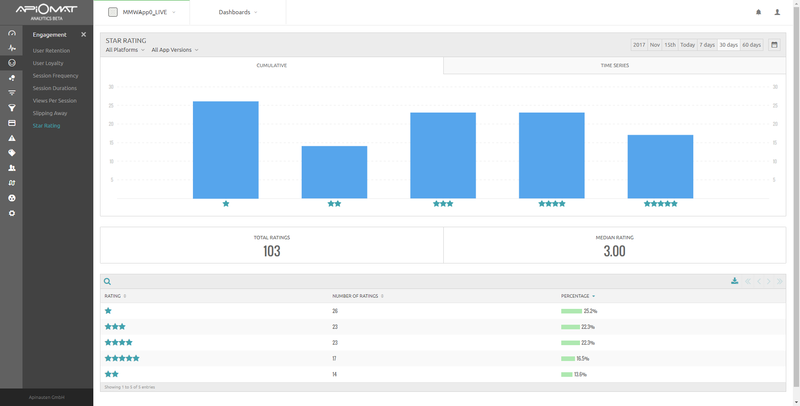 These tools are extremely useful for learning more about how active your users are and tracking changes to user engagement. The user retention page shows how many days, weeks or months your users remain active and after signing up. 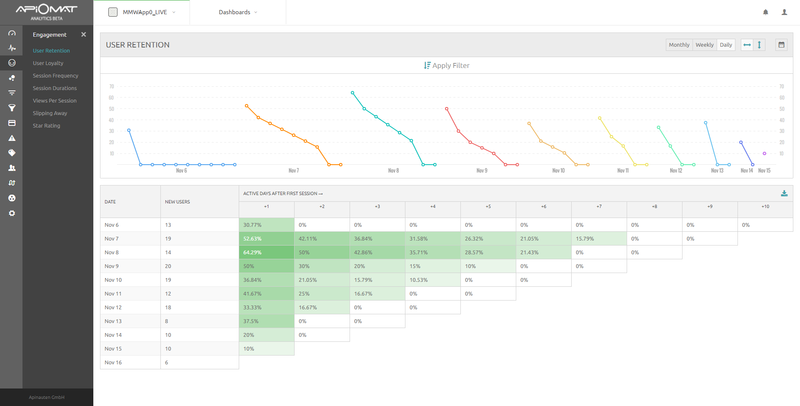 You can also apply filters here to target specific user groups that to learn how engaged they are with your app. In the image below, we show an example of filtering by device. We can also apply additional parameters to get a more specific segmentation. The star rating menu provides you with information on your app's rating. You can filter between app versions and platforms, as well as see how your rating as progressed over time.